Can I plug in without problems with wiring ? Plug & Play ? Can anyone confirm or denied that factory radios in CV / MGM 2007 -> not always are exchangable ? My unit is broken - little plastic gear from laser drive was snapped and I can't find repacement. I also would like to keep factory look of dashboard, so I'm looking for OEM unit. 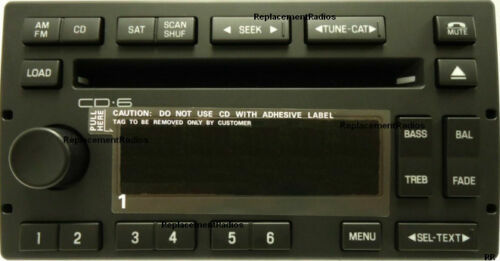 My radio: 8W7T-18C869-AA, CD6 radio: 8W7T-18C815-AA. I might have the first radio in your pic.